Be the first to share your favorite memory, photo or story of Deacon Robert. This memorial page is dedicated for family, friends and future generations to celebrate the life of their loved one. Robert Lewis Davis, the oldest of six siblings, was born on May 12, 1934 to both the late Ralph and Emmie Davis in Warrenton, Georgia. He was born during the Great Depression, and grew-up during the Jim Crow Era. He raised his family through the Civil Rights Movement. Robert united in holy matrimony to Katherine Jeffery on December 23, 1954. They were married for 56 years, and God blessed this union with one daughter and three sons. Robert accepted Christ at a very young age. 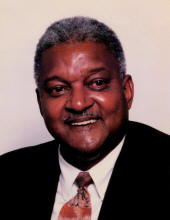 He joined the Shiloh Baptist Church of Warren County, Georgia, where he served as a Deacon for over 50 years. Throughout his journey with Christ, he came to understand that it is not about how much you have in life, it’s what you do with what God has blessed you to have in life. Robert was employed at the former Thomson Oak Flooring Company of Thomson, GA for 42 years. He worked a second job at the former Michael’s Restaurant of Thomson, GA for over 20 years, doing one of the things he loved most, which was cooking. Our beloved Robert Lewis Davis was a devoted husband, father, grandfather, brother, uncle, cousin, and friend. Cherishing the position of being the patriarch of his family, Robert wore the head of the household not as a badge of honor, but as a duty from God. Despite his challenges, Robert often reflected on the goodness of our God. He appreciated life and enjoyed every aspect it had to offer, because there was a lesson to be learned in everything. Robert constantly shared his unconditional love with everyone, and God blessed him with profound wisdom. He will always be a legacy in the Davis family, and remembered by those he encountered. Robert would often sit outside on his front porch to enjoy the beauty of nature and embrace God’s creations. Sitting in his favorite place, God decided to call him home on January 26, 2019. He is preceded him in death by his wife, Katherine Jeffery Davis, a son, Ronnie Davis; one sister, Annie Mae Jiles and one brother, Herbert Davis. He leaves to cherish his life and memory: one daughter, Joyce (James) Carter of Conyers, GA; two sons, Dennis (Rose) Davis and Felix (Cheryl) Davis, all of Thomson, GA; the glow in his eyes, seven grandchildren and four great-grandchildren; one sister, Fannie Bell of Atlanta, GA; two brothers, Ralph Davis, Jr. and Samuel Davis, both of Thomson, GA; two sisters-in–law, Rebie Amos and Doris Solomon, both Atlanta, GA; five brothers-in-law, Manice Paschal of Thomson, GA, George Paschal, J.B. Amos, Willie James Jeffery, all of Atlanta, GA and Charlie Jeffery of Warrenton, GA; a host of nieces, nephews, cousins, many extended family members and friends. To send flowers or a remembrance gift to the family of Deacon Robert Lewis Davis, please visit our Tribute Store. "Email Address" would like to share the life celebration of Deacon Robert Lewis Davis. Click on the "link" to go to share a favorite memory or leave a condolence message for the family.